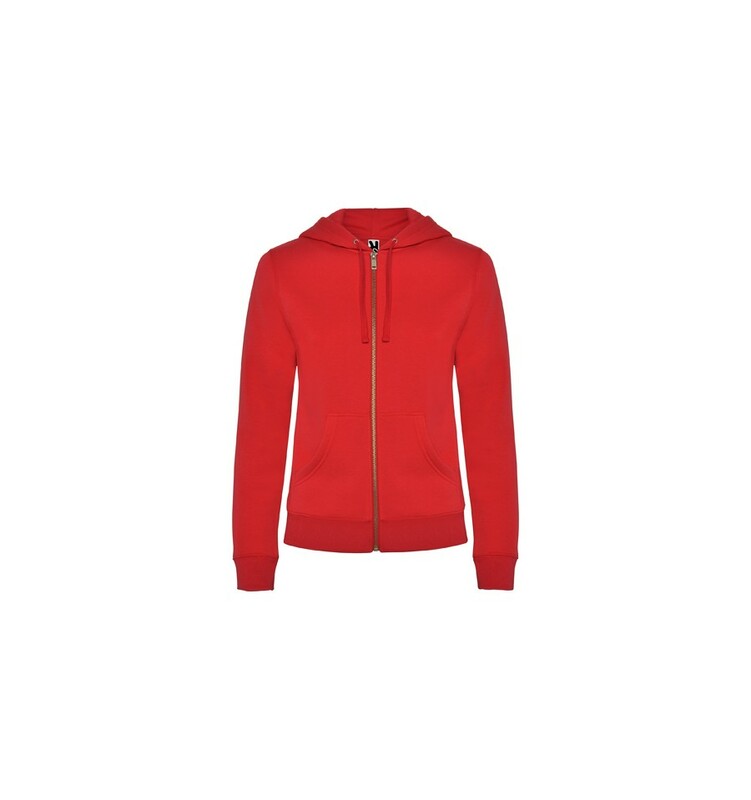 Woman´s hoodie with hood lined to tone. Front metal zip and kangaroo pocket. Reinforced covered seams in collar. 2x2 rib knit in cuffs and waist. Fitted cut. 65% polyester / 35% cotton, brushed fleece, 280 gsm. Heather grey 58: 55% cotton / 40% polyester / 5% viscose. *Metal zip in silver colour.